Distantly rooted in musique concrète, “The Scale Of Things“ discloses an uncanny, multilayered sonic universe of its own. The seven compositions are based on the exploration of nature recordings for unheard details and hidden layers, focused on patterns of stochastic order and unique chaos created without musical intention. The harmony we hear is the harmony of overwhelming and collective uncertainty, because this nature is chaos. Audio transformations that remain hidden, accompanied by modular synthesizers purposely blur most links to the “real” world, in favor of a strange and poetic realm, following the erratic patterns of nature. Mesmerizing and disturbing at the same time, an ambivalent dualism emerges of a strange world that is dissolving and not dissolving. A world that can only be described by it’s surface. Expulsed from nature, as our brain is expulsed from nature. Die Natur ist das einzige immerwährende Menschenunmögliche. Gruenrekorder has been one of my favourite labels of the last few years. Their output traces a line from socio-political academic works like Hein Schoer’s remarkable The Sounding Museum to documentary style field recordings and in this case, complex, composed works of sound-art. The blurb for R.Schwarz’s The Scale of Things notes its distant relationship with classic musique concrete but emphasises the transformational approach taken by Schwarz and his combining audio processing with modular synthesis. The result is a rather dark and engaging suite of pieces that attempt to capture something of the chaos and indeterminacy of the natural environment, amplifying it through studio techniques and electronic sound. The cover art gives some indication to the compositional approach, eschewing the type of formal style associated with music concrete; instead, presenting a confusing collage of monochrome environments and magnified elements that could be insect, plant or otherwise. Side A opens with mechanical sounding clicks and hums on Drift Following the Seam which are quickly enveloped in a thick miasma of different tones and textures. A thump of bass drum rises periodically from the throng as mechanical and organic sounds bleed into one another heightening the displaced, uncanny quality of the sound world. This opaque atmosphere continues on In the Flat Field with bird song making up the bulk of the organic element amid a rush of bass and metallic drones. There’s little light here, with the listener drawn to the central cover image of a frost covered forest floor. This is no bucolic country walk, but a nightmarish vision of blurred boundaries and magnified terror. The bird song is slowly transformed into the clamour of machine noise. Last track on side A Self-Propelled-Sound-Particles is another uncanny exercise that seemingly puts the listener inside the carcass of an animal being predated on. Insects swirl around the stereo field (this is great with headphones) while the sound of chewing and drones derived from field recordings lift the whole thing up into anomalous space. Side B is a less claustrophobic affair. Schwarz here allows the listener something of a macroscopic or birds-eye view of his sonic landscapes; a different way to view the scale of things. The prevailing darkness is still present though as on With the Witch opening with muffled bass throbs, stuttering, croaking sounds and flickering electronics. For the first time fragments of human voice (speaking Chinese I believe) appear adding another aspect to the near ritualistic feel of this track. This is extended into one of the records real highlights; Mabalel constructs a haunted rainforest soundscape of frightening proportions. Full of unfamiliar insect and animal calls, strange throbbing atmospheres and dread by the bucket load. Fans of Dominick Fernow’s Rainforest Spiritual Enslavement project will lap this up. 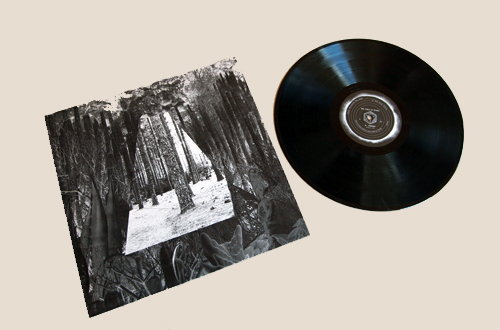 Finally From Surface Downwards adds a flash of live instrumentation to the humid forest atmosphere; accentuating the ritual mood while further dislocating the listener by incorporating several jump-cuts which alternatively throw synth noise and percussion into Schwarz’s haunted world. This is super stuff, comparable to the recent superlative tape/concrete work of Valerio Tricoli and representing something like an anti-Luc Ferrari. Anti, insofar as unlike the sadly passed French/Italian composer, Schwarz’s approach to composition is radically non-anthropomorphic. It’s a non-human perspective he’s trying to conjure up with these studio tricks of scale and intensification. The effect is at once vertiginous and thoroughly engaging. A rare feat for what is still a predominantly stuffy and academic form. Austrian composer Robert Schwarz, appearing here as R. Schwarz, mixes field recordings with droning analogue synth noise on The Scale Of Things (GRUENREKORDER Gruen 154). It’s a strange surface he creates, slow and eerie, yet seething with some kind of unidentifiable energy underneath. As far as I can make out, he wants to assert the importance of his own reworkings over the original source recordings, and thereby portray the world as an alien and unfamiliar place. At the same time, he’s encouraging the force of nature to bubble its way to the surface at unexpected points, as if to prove to himself that you can’t keep a good insect down, nor tame the ocean or prevent the seedlings from growing through the concrete. He seems to perceive nature as somewhat threatening, or at least governed by rules that we puny humans would find to be quite chaotic and unexpected. Some field recording types are content to accept the sound of the wind and rain as “pure music”, but R. Schwarz seems to refuse this simplistic equation. Some or all of these complex and subtle stratagems may be reflected in the cover image. It’s a collage of photos depicting a forest that never existed, and indeed could never exist. The horizon line in this image is far from clear, and it’s not evident where the trees leave off and where the sky begins. Certain plant growths which are probably quite small and unnoticeable in reality are promoted in scale, until they compete with the trees as part of the overall land-grab. I seem to be suggesting that R. Schwarz sees all of nature as a struggle between opposing forces for supremacy. On top of this understated image of a conflict zone, he has imposed a triangular grid and thin wires, attempting to impose a rational Enlightenment view of geometry, or to tame the wild through perspective. These ‘Self-Propelled-Sound-Particles’ take some time to understand, but once acclimatised you may find this record quite a compelling listen. A grower, in short. R. Schwarz in The Scale of Things relies on evocative and enveloping patterns, with strong explorations of natural environments. The implications of the field recordings are given room to develop, but this is balanced with musicality and a pre-arranged structure. Seven tightly worked compositions reverberate here with a particular and abstract essence that is not easy to decipher. The Viennese architect and sound artist, currently on the MAK Schindler Artists and Architects-in-Residency Program in Los Angeles, acts simultaneously on multiple levels by interacting with various field recordings, creating layers of sounds that are sometimes quite cryptic but always in balance, forming a hybrid between natural and abstract moods, between frequencies and musical composition. The narrative has an anxious quality to it and the notes imprinted are often dark and complex. We are, for example, attacked by a swarm of insects in a chamber-like environment that leaves us bewildered about the real nature of the juxtapositions. 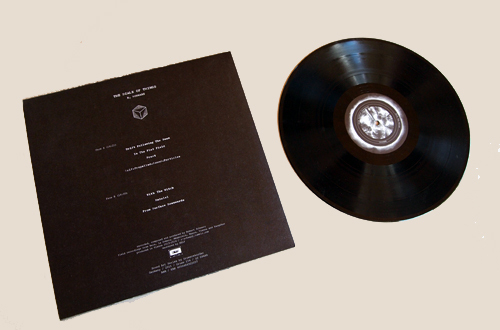 The liner notes of this refined Gruenrekorder release suggest that “nature is the only eternal humanly possible”, though the record also speaks powerfully of the random, imagined world of the artist, in an approach that echoes to some extent the sentiments of Musique concrète, with items structured in an order that is absolutely personal and unpredictable. Modular synthesizer combines with audio captures to create a vivid continuum also comprising drum beats, stepping sounds, subtle voices, electronic fragments, sonic waterfalls, emptiness, hissing, crackling as well as conventional melodies. The listening is impressive and engaging, calibrated to resolve in non-trivial and multiform ways. Viennese sound artist R. Schwarz has dual Master’s degrees in art and architecture, both of which come to bear on his careful constructions. Just as he merges disciplines in his sound and installation art, he utilizes a variety of pseudonyms in his studio work, as if implying that the product is more important than the producer. On the new album, this approach produces a contrast between the precision of the compositions and the vagueness of the original sources; we know where they came from, but not what they are. At times we hear what may be a brook, a bee hive, a buzz saw; but we’re not sure. It would be easy to go out on a limb and say that “Frost” contains the sound of receding waves over pebbles, but all we can ascertain is that it sounds like such waves, followed by sleet, steel and hypoxia. Schwarz scours the original field recordings for “unheard details and hidden layers”, and brings them to the fore. He discerns patterns where none are intended and underlines them with sonic markers. “Nature is chaos”, he claims, but these recordings seem to indicate the opposite; to impose order on disorder is to create that very disorder. “Self-Propelled Sound Particles” (the “bee” track) presents patterns that seem less natural in recorded form than they might if observed in real time; repetitions seem suspect, and the track contains clear temporal boundaries. The value of the recording is the amplification that Schwarz provides, both physical and psychic. The LP title is indicative as it refers to scale. By extracting these “hidden” sounds, he opens a window to a wider sonic world. “With the Witch” becomes not only an echo of a woodpecker’s work, but a question of how much we hear in a given situation. Do we hear only the wind and the birds in a forest, or do we hear the thickness of the sonic canopy, along with its muted pockets? These sounds come streaming in on the following track, only to retreat: a predator, nearby? Or Schwarz, casting the sounds in relief in order to emphasize an avian call and response? In the end, the listener is left with a feeling of humility; no longer the largest, most dangerous animal in the area, the human is instead the one who hears the least, and as such is in the most danger. By highlighting sounds beneath our perception (or notice), Schwarz re-adjusts the scale of things, and challenges us to revise our self-centric perceptions. Robert Schwarz is an architect, composer and sound artist based in Vienna who holds a Master’s degree in architecture and arts and also studied computer music. His sound installations have been exhibited in several festivals and museums in Europe. He works with various monikers and some releases on Sonic Terrain, Laton, Kinderkreuzzug, Wildstyle, Mudblob Free Music Archive and most recently in the German Gruenrekorder label sound art series. ‚The Scale Of Things‘ was released on digital format and on LP in a limited run of 300 copies. Field recordings were captured at various locations in Vienna, South Africa and China. The journey starts with ‚Drift Following The Seam‘ and a rumbling bass note gives a dark and disturbing feeling, containing several layers of synthetic sounds and sound waves of modular synthesizers. ‚In The Flat Field‘ (as the title of the first album of the legendary band Bauhaus) is a dense drone where the strumming of some metal objects are appreciated as well as on ‘Frost’ along with some rain processed recordings. On ‚Self-Propelled-Sound-Particles‘ the buzzing of flies heavely processed shapes sinuous melodies. ‚With The Witch‘ seems an overnight field trip in China where various bird songs and insects are electronically manipulated furthermore some isolated voices. On ‚Mabalel‘ we go deep in the savannah with a wide range of birdsongs and insects. The closer ‘From Surface Downwards’ comprises microscopic sounds of nature intervened. ‚The Scale Of Things‘ is the perfect combination of natural and abstract sounds. Elektroakustyczne manipulacje doprawione field recordingiem znów zdały egzamin. Robert Schwarz to architekt, artysta dźwiękowy i kompozytor mieszkający w Austrii. Studiował między innymi muzykę komputerową na Uniwersytecie Muzyki i Sztuki w Wiedniu. Jest laureatem międzynarodowych stypendiów i nagród. Do tej pory wydał kilka płyt pod różnymi pseudonimami, a jego nagrania ukazały się nakładem takich wytwórni jak Gruenrekorder, Laton, Kinderkreuzzug, Vienna Wildstyle, Sonic Terrain czy Mudblob. Teraz otrzymaliśmy album „The Scale Of Things” sygnowany nazwiskiem artysty, gdzie soundartowe eksperymenty zostały w niezwykle interesujący sposób połączone z nagraniami terenowymi. Winylowe wydawnictwo wypełniło siedem kompozycji. Całość otwiera głęboki i wciągający utwór „Drift Following The Seam”, w którym mistyczny wymiar spotęgowały proste, lecz sugestywne uderzania w kocioł lub jakiś ogromny bęben. Na płycie słyszmy field recording z różnych stron świata: m.in. z RPA z rezerwatu Mmabolela, z La Gomera (wyspa archipelagu Wysp Kanaryjskich), z Naksos (wyspa na Morzu Egejskim) i Yangshuo (powiat w południowych Chinach). Twórczość Schwarza jest również głęboko zakorzeniona w musique concrète, co też potwierdzają kolejne fragmenty: „In The Flat Field”, „Frost” i „Self-Propelled-Sound-Particles”. W tym ostatnim świetnie wypadają odgłosy owadów sprzęgnięte z brzmieniem syntezatorów modułowych, dzięki czemu uległy rozmyciu granice między tym, co naturalne a wykreowane. Dźwiękowy świat Austriaka jest zarazem fascynujący, hipnotyzujący, jak też niepokojący („With The Witch”, „Mabalel”, „From Surface Downwards”). Robert Schwarz potrafi sukcesywnie wyprowadzić słuchacza nie z równowagi, lecz w przysłowiowe pole. Twórca umiejętnie i sprawnie gubi tropy, a jego elektroakustyczne manipulacje doprawione field recordingiem przenoszą nas w nieokreślone miejsce, co sprawia, że odkrywamy niby świat natury, ale mocno zniekształcony i niedookreślony. Obcowanie z „The Scale Of Things” to nie jest podróż do nikąd, to wyprawa wymagająca od nas tego, abyśmy sami określi nazwę tej nieznanej krainy. The witching hour is upon us—or maybe it just feels that way when Robert Schwarz’s material fills the air. Seven nightscapes by the Vienna-based sound artist appear on The Scale of Things, whose thirty-six-minute running time lends itself perfectly to its vinyl presentation (300 copies available). Schwarz creates his macabre settings using a number of different elements, field recordings and modular synthesizers among them, to fashion dark evocations that play like expressions welling up from some deep, malevolent part of the psyche. Yet while the source materials Schwarz worked with in producing the material can be itemized, the resultant pieces present themselves as complete entities first and foremost, with all of their sound details woven into compelling wholes. There’s an old-fashioned, gothic character to these aural visions, as if Schwarz cobbled them together by hand rather than using digital means. It’s the kind of material that frays one’s nerves and keeps one up at night, watching the windows and doors with dreadful anticipation for signs of intrusion. While they’re not musical settings per se, there is an undeniable musicality to the way the pieces unfold. In this case, Schwarz sequences sounds—ominous rumbles, cryptic night chatter, footsteps, grinding machinery, et al.—in much the same way a conventional composer orchestrates notes. The opening piece, “Drift Following the Seam,” plunges the listener into a nightmarish realm where visitors haplessly stumble, never to be heard from again. During “In the Flat Field,” a murder of crows (or some equivalent swarm) blackens the horizon before blanketing everything in its path with dust and ash. Insect noises in “Self-Propelled-Sound-Particles” suggest flies buzzing around a corpse, the body still offering ample material for creatures to feed on, while the long-form “Mabalel” might be the most impressive of the lot in the way it seamlessly advances through multiple episodes. Two examples hint that track names were not arbitrarily selected: “With the Witch” is about as disturbing a construction as one would expect from one so titled, and the directional movement alluded to by “From Surface Downwards” could refer to a coffin’s descent into the ground or even a journey to hell. Schwarz’s sound paintings possess incredible evocative power, and, through an accumulation of detail, each piece brings an imagined world into being in a most convincing manner. Not a moment is wasted in these seven mesmerizing settings, and every detail counts. An extremely impressive set of orchestrated electronics and field recordings from Schwarz, orchestrated in the sense of deeply constructed (at least, that’s the feeling I get) from sounds captured in Europe, Africa and China, enhanced and integrated with synthesizers. I wouldn’t go so far as to say „symphonic“ but more like a tone poem, the elements densely layered with an implied sense of drama, even loose narrative, streams of dark buzzes and hums coursing through thickets of thistles and clangs. Per notes on the site, „based on the exploration of nature recordings for unheard details and hidden layers, focused on patterns of stochastic order and unique chaos created without musical intention.“ Though the sounds differ substantially, each of the seven tracks bristles with a similar energy and strong feeling of plasticity, sending the listener plunging through a cascade of noise, almost a sensory overload but so clearly limned as to to eliminate any possible cloying. Musique concrète without the overbearing and assaultive aspect that so often inhibits enjoyment for me. Really, really fine work. R. Schwarz’s “The Scale of Things” finds chaos in order. The cyclical nature of the world is let loose and allowed to be slowly torn asunder and morphed into bizarre mutated carcasses of sound. What results is something that is difficult to fully grasp for R. Schwarz opts for a completely immersive experience, forgoing melody, rhythm and traditional progression. A state of flux reigns supreme as the mixture of the natural and the manipulated become impossible to parse out. By letting these pieces roam free the sounds are allowed to explore vastly different territories with each other discovering its own unique personality. “Drift Following the Seam” revels with mechanical crunches and static hisses. For the duration of the track it becomes impossible to tell what is natural and what is electronic, so deft is the usage of space. Harsher still is the intense trip of “In The Flat Field” which transforms a field recording into a hideous nightmare complete with random bass pulses fluttering across the sonic spectrum. Around “Frost” R. Schwarz moves towards quieter textures letting the sounds simply hover. Terrifying fly sounds dominate the creepy “Self-Propelled-Sound-Particles”. Intense high frequency screeches are found throughout “With The Witch”. Choosing an ambient path “Mabalel” serves as the contemplative heart of the collection. 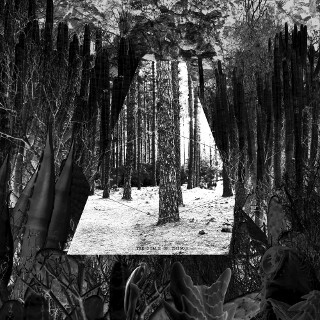 Digital shards define the album’s finale “From Surface Downwards”. A sense of unbalanced environments are explored throughout “The Scale of Things” offering a sense of freedom from structure. This is what freedom sounds like. The name Robert Schwarz seems to me a new name and from his website I understand he creates sound installations, sound art and musique concrete pieces and to that end – perhaps the musique concrete end? – he uses field recordings, which, for this record, were recorded in Bale, La Gomera, Mmabolela, Naxos, Vienna and Yangshuo. For Gruenrekorder this presence of field recordings would probably be enough, but not for Schwarz, who also uses a modular synthesizer, in the seven pieces on this record. Together they make some excellent music; lots of tension is formed in these pieces and lines are blurred. It’s very hard, sometimes, to tell the difference between what is a field recording here and what is the modular synthesizer, which is an approach I like very much. The sustaining scraping could be a fence out there in nature, but also some sort of oscillation running wild. And sometimes these differences are very clear, and their distinction is what carries the piece. There is certain darkness in all of these pieces, a nocturnal quality if you will, like the field recordings were taped at dawn or night-time. Schwarz wanders through woods, leaves crack below his feet and cars pass in the distance. Suddenly some electronic sounds mingle with these and take over the piece, and it completely changes colour and direction. Robert Schwarz‘ music has a great dramatic quality to it, refined, spooky, dark and you could easily commission him for a radio drama; I am sure he would create some fine work in that realm. This is an excellent album.